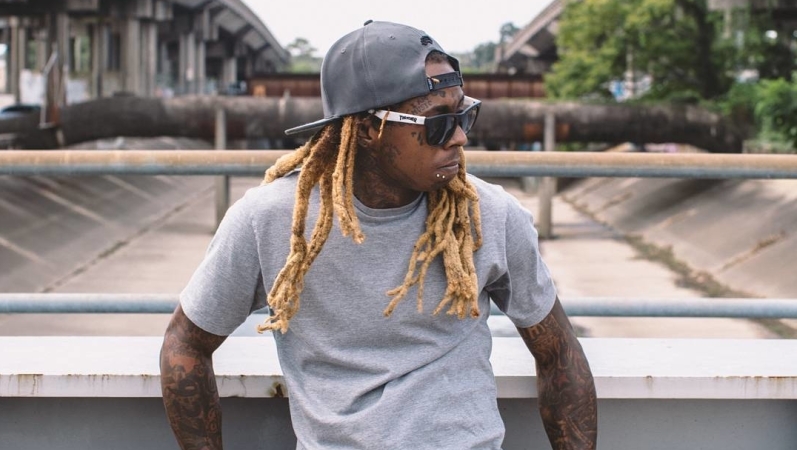 To help further build the anticipation for his forthcoming Dedication 6 mixtape, Lil Wayne has dropped a capsule collection to properly lace his diehard fans. The new drop features a variety of items, including hoodies, pre-shrunk t-shirts, fleece joggers and snapbacks, with the majority of the clothing featuring a variation of his D6 branding and in a black colorway. Additionally, some pieces are adorned with the phrase "Fear God," which Wayne has notoriously tattooed on his eyelids. To help promote the line, Lil Wayne recruited new collaborator Trippie Redd, with the Ohio rapper donning the new merch and vibing out while smoking a blunt in a promotional clip. The collection, which ranges in price from $30 to $60, is available via Yount Money here. Take a look at the teasers for the capsule collection below, and be sure to keep an eye out for Dedication 6, which is set to drop on Christmas Day (Dec. 25).